BEAUTIFULLY DESIGNED AND RENOVATED HOME, SITUATED ON 3 CLEARED ACRES IN SOUGHT AFTER HICKORY/GRASSFIELD! EVERYTHING IS NEW WITH THE UTMOST ATTENTION TO DETAIL. THIS LOCATION AND FLOOR PLAN CANNOT BE BEAT! FOUR BEDROOMS, TWO AND A HALF BATH, WITH FROG AND MUDROOM. LARGE ATTACHED 2 CAR GARAGE (22 X 29). (29X6) FRONT COVERED PORCH. GOURMET KITCHEN WITH CUSTOM CABINETS, DOUBLE OVEN, BUILT IN MICROWAVE OVEN AND QUARTZ COUNTERTOPS. WALK-IN CLOSET IN EVERY BEDROOM. HARDWOOD FLOORS DOWNSTAIRS WITH THE EXCEPTION OF TILE IN THE MUDROOM. 400 AMP ELECTRICAL SERVICE. TRANE 2 ZONE HVAC. ANDERSON WINDOWS THROUGHOUT. THIS HOME WILL BE 3030 SQ FT AFTER RENOVATIONS ARE COMPLETED. YOUR DREAM HOME AWAITS! CALL FOR AN APPOINTMENT TODAY! Ready to visit 2108 West? Request a free property tour! Send me more information about the listing at 2108 West, Chesapeake, VA 23323, MLS# 10240216. 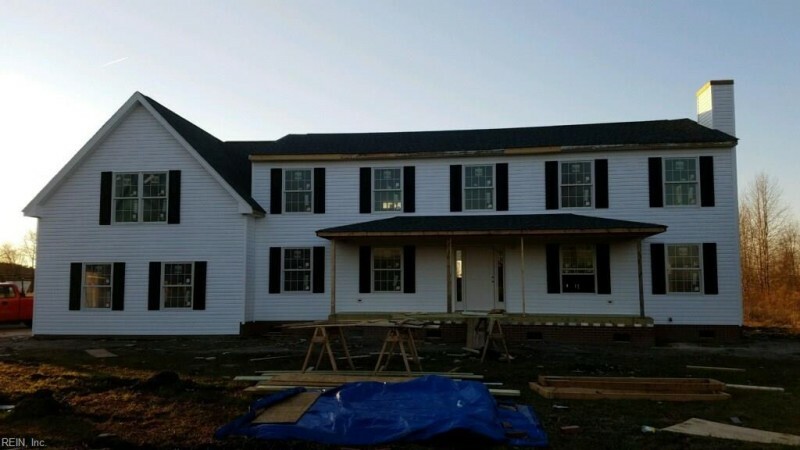 This 4 bedroom, 3 bathroom home located at 2108 West, Chesapeake, VA 23323 has approximately 3,030 square feet. It is currently listed for $549,900 and has a price per sqft of $18,149. This home is currently Off Market under the MLS#: 10240216. This listing is provided by The Real Estate Group. 2108 West Road, Chesapeake was built in 1974. It has Garage Att 2 Car, Oversized Gar, 4 Space, Driveway Spc parking.The kitchen includes Dishwasher, Dryer Hookup, Microwave, Elec Range, Washer Hookup. 2108 West is part of the Pleasant Grove neighborhood located in 23323.